TORONTO, July 20, 2016 /CNW/ - Mohawk Medical Properties REIT (“Mohawk”), a private real estate investment trust, announced today it has acquired two premier medical office buildings in Orlando, Florida. These acquisitions represent the launch of Mohawk’s cross-border investment platform called ‘Mohawk America’ which will invest in economically insulated commercial real estate with cash flow stability and growth potential. The Metrowest Medical Center and University Boulevard Medical Center are 100% occupied by 100% medical tenancies. The combined buildings total 60,000 square feet and are occupied by tenants such as a Primary Care Clinic, Otolaryngology Group, Surgical Center, Eye Physicians and Diagnostic Imaging. 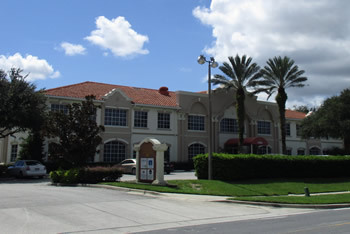 The buildings are ideally situated in desirable sub-markets on the east and west sides of Orlando. Mohawk Medical Management Corp. will bring its expertise in medical office building management to provide specialized professional management services to tenants and patients at the buildings. Mohawk anticipates closing on three more Canadian medical properties in the fall.